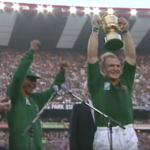 Following the unveiling of the Boks’ new jersey in a World Cup year, we take a look back at the historic 1995 success in the final against the All Blacks. 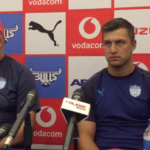 Vodacom Bulls captain Handré Pollard says that his team will need a massive defensive effort to keep the Stormers at bay in their clash at Newlands on Saturday. 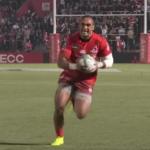 Sanzaar’s Vodacom Super Rugby Try of the Week is Semisi Masirewa’s first try for the Sunwolves against the Hurricanes. Some slick hands by the Lions and a deft kick by Warren Whiteley led to an excellent try for Aphiwe Dyantyi against the Chiefs in Hamilton. 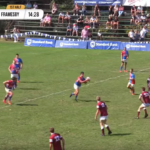 The best tries from Saturday’s matches at the Kearsney Easter Rugby Festival. 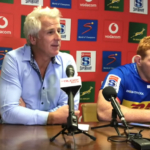 Robbie Fleck and Steven Kitshoff address the media after the Stormers’ 19-17 loss to the Brumbies at Newlands on Saturday. 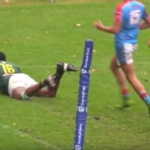 Helpmekaar beat St Alban’s 33-19 at the St John’s Easter Rugby Festival on Saturday. 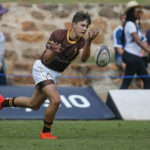 Other wins were scored by Graeme College, the Golden Lions XV and the NSW Combined Schools side. THEO GARRUN reports. 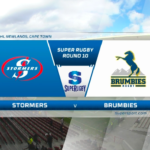 Highlights of the Brumbies’ 19-17 victory against the Stormers at Newlands on Saturday. 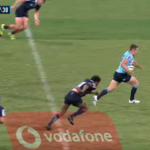 Highlights of the Waratahs’ 23-20 win against the Rebels in Sydney.